Trekking to Annapurna Base Camp,offered by Pink Mountain treks and Expedition, is a moderate nature trek that starts from Nayapul of Kaski District.After about 45 minutes driving from Pokhara, which takes you to the foot [Base Camp, 4130m] of Mt. Annapurna, one of the most magnificent peaks in the world. The trail takes you through traditional villages of Nepal’s ethnic communities of the Gurung, Magar, and Thakali who will greet you very warmly if you cared to stop for a conversation. The Trek to Annapurna Basecamp continues through beautiful and dense Rhodo forest with towering snowy peaks in the background. During this 18 days trek to Annapurna Basecamp you can see not only the series of Mount Annapurna but also the Dhaulagiri, Machhapuchhre, Nilgiri Himal, Mount Gangapurna, Mount Himchuli. The return trek pass through Poonhill, where you witness breathtaking views of an early morning sunrise where a red halo seeps through glistening gaps over the snow capped peaks of the Annapurna, Dhaulagiri, Machhapuchhre, Manaslu, Nilgiri, Gangapurna and other Mountains. The sceneries seen throughout this trek grace the landscape of the Himalayas where imagination defines the beauty of nature as an experience that can never be forgotten. Day 16:Pokhara sightseeing. overnight at Pokhara. Day 17:Fly Back or drive back to Kathmandu. Shopping at Kathmandu/Souvenir from Nepal.Overnight at Kathmandu. Day 18:Fly back to your destination. This Annapurna Basecamp Trekking is a long trek that goes right into high mountain of country and over the basecamp of Annapurna is highest point of this trekking.Daily approx 6-8 hours trekking along rocky ridges. For this trekking to Annapurna Basecamp,no previous experience is required, you should be moderately fit, used to some regular exercise and enjoy walking in the high altitude conditions. Day 5Drive to Phedi, trek to Dhampus [1700m] Drive to Phedi. 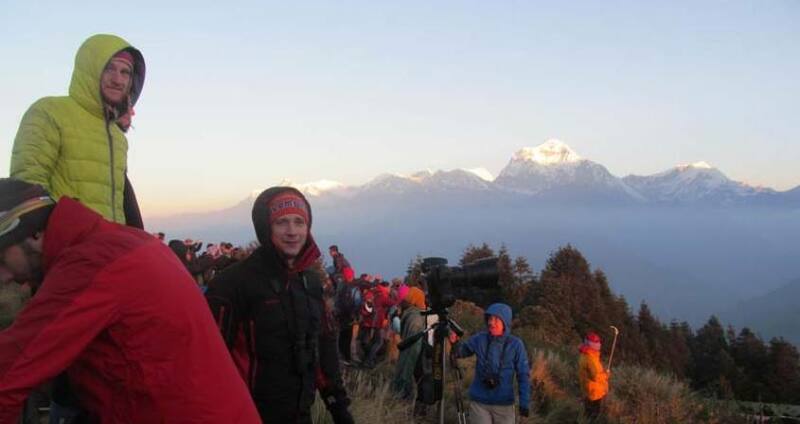 From there onward begins your trekking in Annapurna mountain range. As you climb uphill, you will bask in the splendor of nature and your trails become more adventurous. Finally, after walking for 3 hours, you encounter several roadside teashops and at last your trail leads to the Gurung village of Dhampus. Here concludes your trip of the day. Overnight at Tea House. Day 6Trek to Landrung [1550m] Your path narrows as it skirts round a ridge snout. On proceeding further, you pass through Pothana and reach Deorali. At this point, you find yourself high up on the East side of the Modi Khola cascading down the Annapurna Circuit Sanctuary surrounded by complete ambience of nature. Continue with your trekking for four hours until you reach picturesque Gurung settlement of Landrung. Spectacular views of Annapurna South and Hiunchuli instill more zest and excitement into your adventure spirit. Overnight at Tea House. Day 7Trek to Chomrong [2100m] From Landrung, you march along the mountain path of stone steps, pass through a hamlet, cross a suspension bridge and then you come across dense forest of bamboo. Finding yourself in complete isolation amidst the serenity of nature can be quite an experience. Your trek does not stop here. After trekking for a while, you approach teahouses at Jhinu where you can rest and enjoy a drink or snacks. Thereafter, you resume your trek to the north, descending Daaulu and after having walked for five hours you, will find yourself at Chomrong. 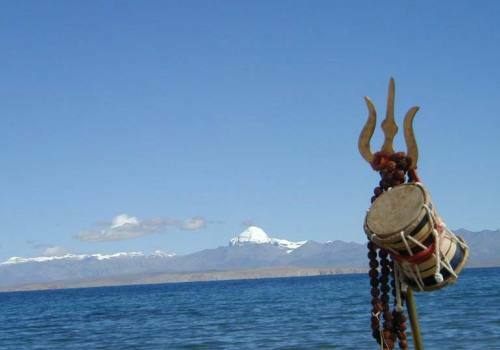 From Chomrong you can have prominent and mesmerizing view of Machhapuchhare. There are many chalet-style wooden lodges and at Chomrong where you can get accommodation and food. Overnight at Tea House. Day 8Trek to Dovan [2850m] Crossing Chomrong Khola, you continue trekking along steep stone steps. On your trails, you bypass rhododendron-covered ridge path, mountainous terrains and forests of bamboo. As you savor awe-inspiring views of Annapurna mountain ranges and Machhapuchhare, you gather more energy and enthusiasm to explore further. During your five-hour walking, you cross Modi Khola, pass through Khuldigar, Bamboo and Dovan and finally reach Himalaya Hotel where you wrap up your trip for the day. Overnight at Tea House. Day 9Trek to Machhapuchhare Base Camp [3700m] Your next destination is to reach Machhapuchhare base camp. You ascend and descend as your route opens up new trails. On climbing steeply for a while, you approach Hinku Cave. This course follows zigzag paths of stones. After walking for 3 to 4 hours, you enter the Annapurna circuit Sanctuary, a huge amphitheater enclosed by a solid wall of snow-capped peaks which include Annapurna I, II, III and IV and the fish tail spire of Machhapuchhare. Several lodges and Annapurna inns are spotted at Deorali and Bagar. Finally, you will find yourself at Machhapuchhare Base Camp, a grassy moraine platform. You can rest at one of the lodges, and treat yourself with hygienic food. Overnight at Tea House. Day 10Trek to Annapurna South Base Camp [4130m] On hiking the Annapurna circuit trail for 2 hours, you descend a small ridge branching out from the mountain pass to mountainside with widespread terraced fields showcasing tranquil meadows and lush fertile farming land. As you reach Annapurna South Base Camp, witness awesome picturesque landscapes, majestic panoramic view of snow-capped mountainous peaks and varied Himalayan cultural settings tucked beneath the southern slopes of the Annapurna massif. Overnight at Tea House. Day 11Trek to Chomrong [2100m] As you continue climbing along the forested ridge residing in the vicinity of chains of cloud-snaring hills, a grass-covered slope opens up leading to a course descending across a rock-strewn area to the riverbed of Kali Gandaki. Kali Gandaki is the world’s deepest river gorge of great bio-geographical significance regarded as demarcating Eastern and Western avifauna. The trail up the Modi Khola passes through dense forests of rhododendron and bamboo across Annapurna mountain range. After trekking for 5 hours, you reach Chomrong. From Chomrong you can have prominent and mesmerizing view of Machhapuchhare. There are many chalet-style wooden lodges at Chomrong which provide accommodation and food. Overnight at Tea House. Day 12Trek to Ghandruk [1940m] From Chomrong, we take an alternative route back to Pokhara, via Ghorepani. As you skirt through flatland, forests and terraced fields, a suspension bridge comes your way. On crossing this suspension bridge over Khumnu Khola, you enter beautiful village of Ghandruk after walking for 3 to 4 hours. You get to witness unique culture, tradition and custom of Gurung community. Ghandruk offers excellent views of Annapurna South, Gangapurna, Annapurna III and Machhapuchhre. It accommodates several hotels and teahouses. Camping in its terraced fields can be very exciting and adventurous. Overnight at Tea House. Day 13Trek to Banthanti [2410m] Leaving the terraced fields of Ghandruk, we tread along the zigzag path on a steep slope. As you ascend steeply, you pass through dense rhododendron forest to Tadapani which is an ideal vantage point to glimpse heavenly sight of Annapurna South, Hiunchuli and Machhapuchhare. After having walked for 3 hours, you finally reach Banthanti. Overnight at Tea House. Day 14Trek to Ghorepani [2880m] From Banthanti, you proceed further along steep trails. Nature spreads exotic sight of majestic snow-capped mountain peaks, lush vegetation and rich plant life before you. You climb through rhododendron forest to Deorali [3100m] and reach a hamlet and cultivated fields. Continue walking for 3 hours and finally you will find yourself in Ghorepani. Ghorepani also houses lodges to provide food and accommodation to travellers. Overnight at Tea House. Day 16Pokhara sightseeing. overnight at Pokhara. Day 17Fly Back or drive back to Kathmandu. Shopping at Kathmandu/Souvenir from Nepal.Overnight at Kathmandu. Day 18Fly back to your destination.